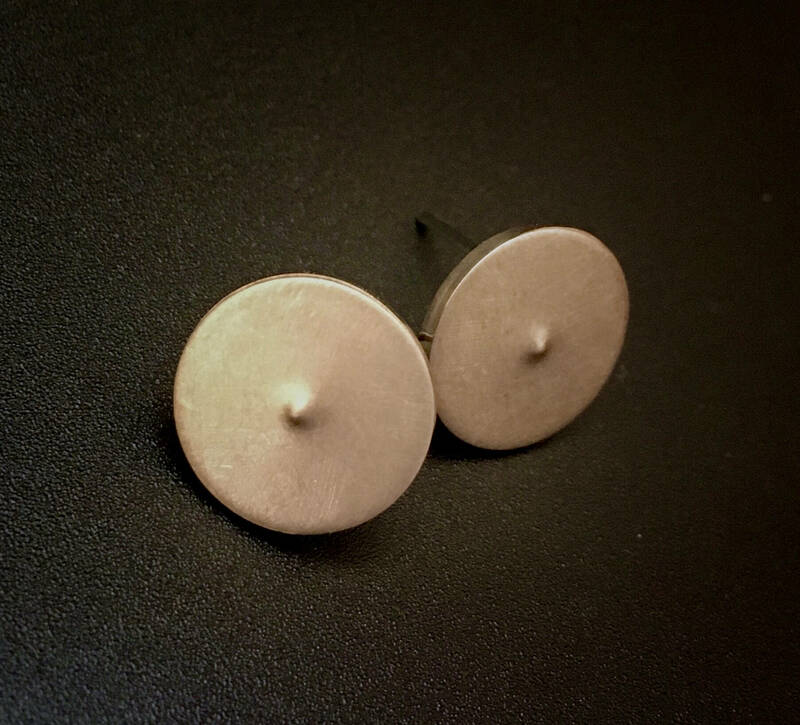 Minimalist style stud earrings feature 13mm Bronze discs measuring approx. 13mm in diameter, embellished with a single raised dot in the middle. Studs have a subtle satin finish. Stainless Steel posts.